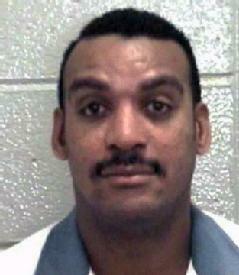 Emmanuel Fitzgerald Hammond was executed by the state of Georgia on January 25, 2011. Emmanuel was pronounced dead at 11:39 pm EST, inside the execution chamber at the Georgia Diagnostic and Classification Prison in Jackson, Georgia. Emmanuel was 45 years of age. He was executed for the murder of 27-year-old Julie Love on July 12, 1988. Julie was also raped by Emmanuel’s accomplice Maurice Porter. Maurice was sentenced to life in prison. Emmanuel spent the last 21 years of his life on Georgia’s death row. While in prison, Emmanuel attempted to have a witness against him killed. Emmanuel had several previous criminal convictions. Please pray for peace and healing for the family of Julie Love. Please pray for the family of Emmanuel.